I'm pleased to announce the availability of the shiny, new-and-improved Another Musical Souvenir of Walt Disney World. Today marks the end of a 3.5 year journey for me, although I may time and again post updated tracks as new resources become available. 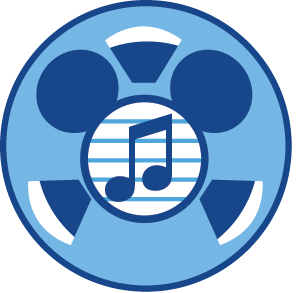 "Another Musical Souvenir" consists of 20 MP3 files of more than 6 hours total Walt Disney World atmosphere tracks. Also included is a gorgeous, lavishly illustrated 28 page booklet that will guide you through the tracks, plus an additional 40 pages of "Expanded Notes" and annotations for those who want to know how it all came together. If you've ever wanted to step back in time and visit the Walt Disney World of its earliest years, Another Musical Souvenir of Walt Disney World is your time machine. Each track is a flowing, aural landscape which revives the music and sounds of the Vacation Kingdom of the past. Inside you can sit in the Central Plaza as swan boats drift by, explore the original Magic Kingdom Pirates of the Caribbean attraction, ride a Skyway bucket over Fantasyland, revisit the RCA Space Mountain, listen to Michael Iceberg play his iceberg machine and ride a monorail to the Polynesian Village for drinks. This second version of the original A Musical Souvenir of Walt Disney World expands on the original, including more than twice the amount of material. Finally the full scope of the project may be heard, and the intended structure restored. Best of all this project comes with six "Bonus Tracks" which offer many more opportunities to include beloved Magic Kingdom music beyond the late-70s scope of the project. This is a memory meant to be shared, and I hope that "Another Musical Souvenir" both brings back fond memories and inspires others to learn more about the terrific history and legacy of Walt Disney World. Thank you for this extra special Christmas gift! You are a most wonderful person, both for taking the time to put this massive compilation together and for making it freely available for all us undeserving souls to enjoy. I'm totally down with early xmas presents and you nailed it! Man, thank you so much for this. I really appreciate your effort and generosity. Wow....I am stunned. This is wonderful! Thank you SO MUCH for your hard work! Can anything ever top this?! This is everything I remember from the 70s and early 80s. Thank you so much for all of the time and effort that you put into creating this and for sharing it with the world. I downloaded it last night, and I've been listening to it all day at work. Such a wonderful piece of work. The original was great, but this builds on that and becomes so much greater. 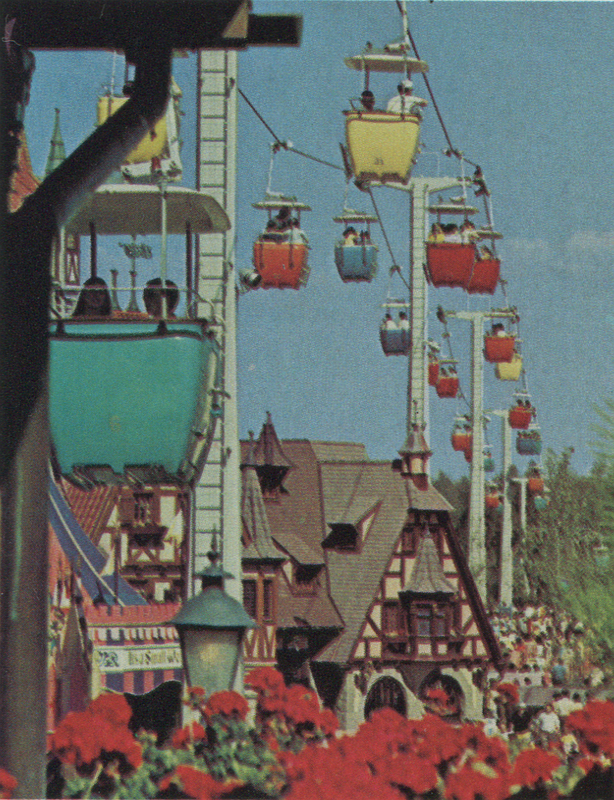 I would give anything to go back 30+ years to visit the WDW of my youth again. But, this will be the closest I'll ever get to that, so just for that: Thank you. You're awesome!!!! I loved the original version and I know I'll love this update. Thanks for helping bring back some wonderful memories! This work is AMAZING. I have listened to the original over 100+ times and it transports me to a different time and place. This expansion is a welcome gift and I appreciate all of the work you have put in to it! Thanks so much! I loved the last musical souvenir and can't wait to hear this one. Just finished listening to all the tracks. I love it. The effort and work you put into this along with those who helped you is so appreciated. Much thanks for your generosity! I was in DisneyWorld in the Summer of 1972. Thank you so much for this travel in time. Lots of good memories! Thanks so much for this. It's an absolute treasure for us Disney geeks (especially those of us who have such fond memories of WDW during it's first 15 years of existence). Thank you so much for this labor of love. I am a former high school teacher currently reinventing himself as a Cast Member at the Magic Kingdom. I started in attractions at Fantasyland, quickly realized that merchandise was a better fit, and have been at Fantasyland and now Tomorrowland merchandise for over a year. You have done the world a great service, in keeping us in touch, in a visceral way, with memories of that most magical time: the first visit to Disney. Passport is so incredibly beautifully written and smart. And now this incredible collection. Thank you!! Thank you! I am very grateful for all of your time and hard work. Also, if you'd be willing to fill me in, what is the name of the song used for entering the Enchanted Tiki Room? It appears at 16:04 on the Adventureland track. I've been looking for that one for AGES! I'm not certain that the Tiki Room entrance drums have a proper name. I have seen a paper which implies that those drums, the drums for the MK Adventureland "talking tikis", and the MK Jungle Cruise native village drums were all recorded by a drum group for WED in one recording session in 1971. While listening to the entrance into the contemporary I could not believe what I was listening to. I distinctly remember the sounds of dishes emanating from the floor below as you stepped out of your room combined with the sound of the monorail. 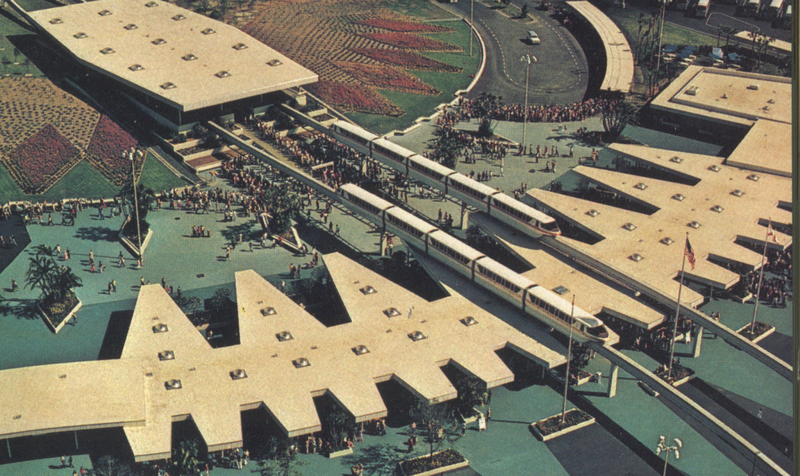 Question: When the doors of the monorail, closed was it my imagination that the lever to open and close the window in the door would also make a sound as well? Thank you very very much! At first I thought it was just a compilation of sounds and music recorded here and there then I realised it is a full project, clearly made with tons of love and attention to details. Wonderful!!! I am so unbelievably thankful for your blog and all of your projects. As an 18 year-old, I unfortunately never got to experience Walt Disney World in its early days. You've allowed me to experience the next best thing. Thank you so much for this wonderful compilation! In many ways, it's better than going to the parks today! All the best. Thank You so much for putting this amazing album together. I have a 5 hour flight home tomorrow and can't wait to listen to your soundtrack the whole way! Thank you for undertaking this wonderful project, and sharing the immensely enjoyable results. Thank you for the work you've put into this. Your technical skill and research have already brought me many hours of nostalgic pleasure. On a separate note, I wonder if you still plan to publish a final post on your "Age of Not Believing" series. You mentioned this back in August, and I had been looking forward to your final analysis and ranking of the films you had discussed. I'm really not sure if I'm up for finishing the series. The numbers on the posts were horrible, worse than had I continued just writing about WDW, and given the difficulty in obtaining and then actually watching the movies and then in writing about them I lost my motivation to finish. I'd like to try extending this blog out a bit to talk about more than just retro WDW but given the time and effort (and mental fatigue) expended on that series the results weren't worth it to me. I've enjoyed your original musical souvenir for a while now. Today I've come across this wonderful addition. It's just what I needed to get me out of today's doldrums. I really love listening to this collection -- especially the Evening in the Vacation Kingdom track. That is just a masterful piece of work. I wonder though why some of my favourites weren't included like a peek into the Diamond Horseshoe show. Or taking the launch from the Polynesian at night, hearing the horns and visiting Fort Wilderness for a bit of the Hoop Dee Doo and campfire sing-along. You could then return to Clementine Beach to see the Electrical Water Pageant (as we always did). If you do an update to this set, perhaps you'd consider some of these things? Through reading your blog, I've come to love this era of WDW. I grew up going to Disneyland in the 80's and 90's, so listening to these tracks are new, yet some how familiar. It's a wonderful experience to be taken back to a place you've never been. Thank you! Where Can I Find Music from Henrik Neilson and Neil Amsterdam? I Can't Find It Anywhere. Josh; Henrik Neilson and Neil Amsterdam's music was released as part of the Capitol Media Music library music releases in the 1960s. They're long out of print and must be purchased secondhand. You can read more about this in the project's Expanded Notes. Hey Foxx, Jim Hession (you used his music on your "Evening in Vacation Kingdom" segment) is my dad. Thank you SO much for including him on your compilation! If you ever want some info/photos on the music scene at Disneyland and WDW between 1966-2003, or some stories about growing up at Disney, get in touch with me! Thank you! This assortment saved us on our long road trip from Colorado to Disneyland this week. It also takes me to a happy place during long stressful days at work. Incredible, and nicely done!! This is amazing! Hey, do you happen to remember where you got the Space Mountain music on the New Tomorrowland Bonus Track? There's a song in there that I cannot find anywhere else. Here's a YouTube video I found, but it's combined with the Star Tunnel theme: https://www.youtube.com/watch?v=G4zFD1fvmzo. I'd like to know where I can find that other song. Thanks in advance! There's no percussion, and it's significantly echoey. I can't seem to find it anywhere by itself! If you can locate it, I'll be eternally grateful! Thanks! Try this Torrent on MouseBits. "Space Mountain, 'Speed Ramp'.flac" should be it. This is absolutely marvelous. Thank you for taking the time and energy to put together something so nearly perfect in form and quality. This is incredible. So glad to have just stumbled upon this. Just curious, who owns the copyright to these tracks? Disney? You? No one?